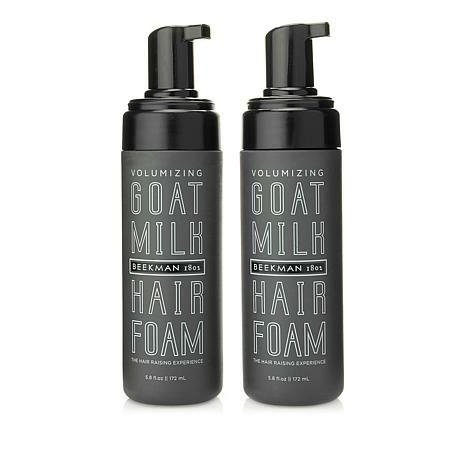 Volumizing hair foam infused with goat's milk helps condition hair while adding that desired lift to limp or lifeless hair. Dispense and spread onto fingertips. Work into hair, starting at the root before moving to rest of hair. Safe for color-treated hair and chemically-treated hair. I bought this for a styling tool and it is fantastic. I apply to dry hair and then use a blow dryer. I roll the hair and style. It is perfect in that it has saved me time and effort, makes my hair shiny and healthy looking and it takes less hairspray to hold the style. Thank you Beekman for such a wonderful performing product. I like the product it give me body however it dries my hair . I don't like the way my hair feels after is dry infact I don't use a hair dryer. I apply a leave in conditioner on top of volumizing hair foam . I will keep using it a little longer to see if I see changes. I received and have used the product several times. Unfortunately I have to say I am going to return. For me personally it doesnt work for my hair. I have naturally curly and it was just too soft and tacky. 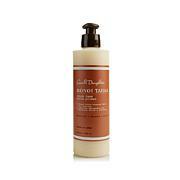 I order the other Beekman products, bar soap, hair soap, hand soap, lotion, hand cream and absolutely Love the products. An experiential farm-to-customer brand, Beekman 1802 aims to help you cultivate a better life through distinctive artisanal products. Indulge in skincare and home goods from the historic goat farm that is inspired by the spirit of community and committed to bringing a beautiful lifestyle to all of its neighbors. Remind me about Beekman 1802 upcoming shows.